Reprint. This edition originally published: 2012. 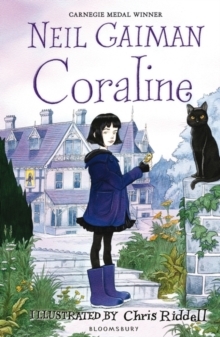 There is something strange about Coraline's new home. It's not the mist, or the cat that always seems to be watching her, nor the signs of danger that Miss Spink and Miss Forcible, her new neighbours, read in the tea leaves. It's the other house - the one behind the old door in the drawing room. Another mother and father with black-button eyes and papery skin are waiting for Coraline to join them there. And they want her to stay with them. For ever. She knows that if she ventures through that door, she may never come back.